Organize up to 12 Cat6 patch cables. 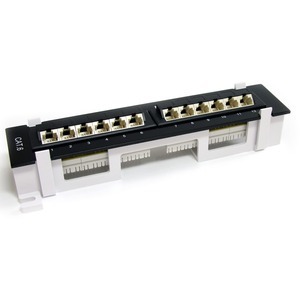 StarTech.com's 12 Port 110 type Wall Mount Cat 6 Patch Panel features T568A and T568B wiring providing the perfect solution for any LAN application. The patch panel offers 45° downward tilted ports and 110-type termination.